Come on down..classes throughout the year!!! This class is suitable for those who are absolute beginners, as well as those who have completed the beginners Taster Day. 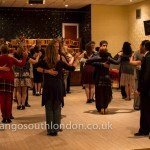 We will explore and revise the basic principles of Tango, including the Walk, the Embrace, Musicality and the basic figures. 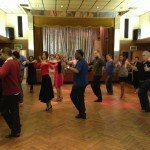 We will focus on the concepts of leading and following, and how to improvise to the music whilst maintaining elegance and flow. 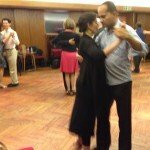 In no time at all you will be using the lyrical language of the dance and having fun! 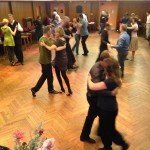 This class will start to develop and explore more complex figures, including ocho’s, giro’s, sacada’s and caminata’s, whilst continuing to revise the basic principles of tango. This means focusing on the concepts of leading and following, how to improvise to the music whilst maintaining elegance and flow. Suitable for those who have completed at least 5 beginners sessions. Elegant posture, clarity of leadership and sensuality in all steps will be highlighted! 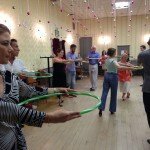 This class is for the more experienced dancer, with its focus on improved technique, effortless decorations and exciting new steps suitable for the social dance floor. We will explore both the open and close embrace, as well as musicality and, as always, elegance and style. This is a popular class, and is a wonderful opportunity for men and women. 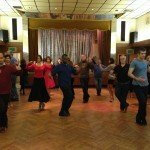 This includes learning how to focus on all the many details in simple walking and turning excersizes, which can refine and enhance all aspects of this dance. Ladies learn how to dance sensually and elegantly, whilst still finding moments to decorate and add your own interpretation to the lead. 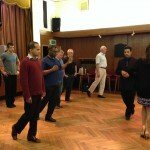 We will focus on how to do the simple walk, ocho’s, giro’s, boleo’s and gancho’s with delicious fluidity and style! Men can gain many fundamental technique’s common to both leader and follower. They will also gain essential insight into how to allow for ladies decorations, and encourage them as well as developing their own decorations. For the above classes No need to book, just turn up! 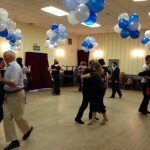 People most welcome to come with a partner or independently – you will have the choice to stay dancing with your partner or to practice with others in the group. Please bring leather-soled shoes – this will help when turning. Women can bring high heeled shoes or other shoes that are comfortable but also with leather soles.